Sunwoo Jung-A and Jung Seung Hwan performed on JTBC's 'Sugarman 2' this week. 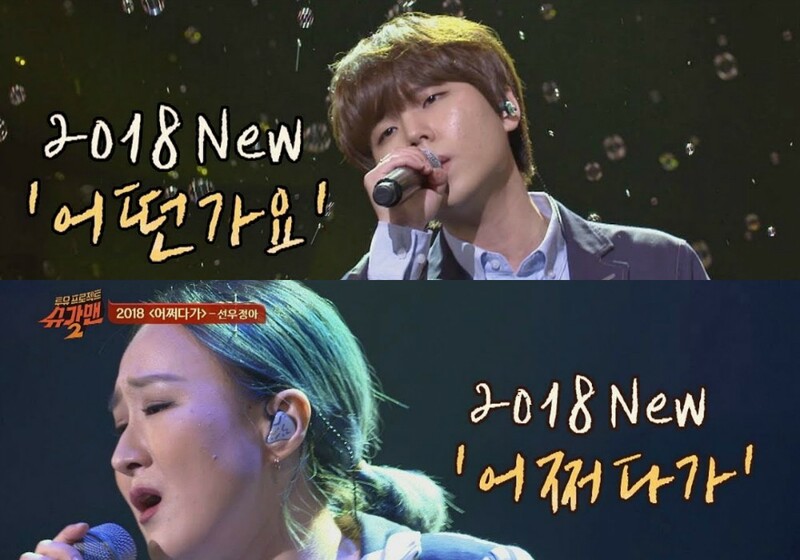 On the April 22nd broadcast of the show, both singers brought their unique vocal tones/colors for their renditions of some nostalgic songs. Sunwoo Jung-A covered Ran's "Somehow", making the audience gravitate towards her voice. Meanwhile, Jung Seung Hwan sang Lee Jeong Bong's "How Are You", letting the lyrics reach out to the audience.